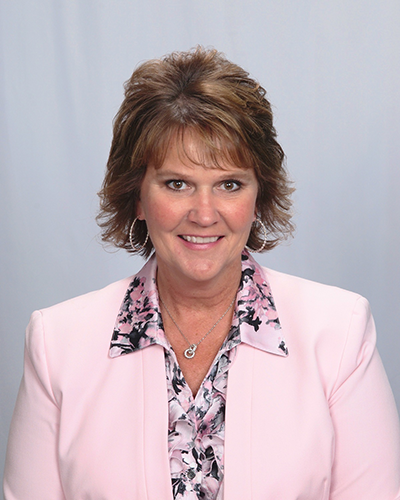 The Engines Division of Kawasaki Motors Corp., U.S.A., has expanded the role of Karen Howard, a longtime executive, to director of dealer sales support and marketing. In her broadened role, Howard will now also oversee the company’s logistics operations. Howard will continue to have management responsibility for marketing, order services, inside sales, dealer development and sales communications. As part of her responsibilities, she will focus more of her attention on the application of internal processes to the company’s stated goal of customer satisfaction. Howard began her career with Kawasaki in 1992 and has held numerous positions with the company. Bruce Moore Jr. has been named president of Eastern Land Management (ELM), the family-owned commercial landscape services firm founded by Bruce Moore Sr. in 1976. Bruce Moore Sr. remains chairman and CEO. As President, Moore Jr. will be responsible for driving ELM’s ongoing transformation into a growth-oriented, customer-centered firm and implementing innovation across ELM’s portfolio of services. “Bruce’s experience in brand building will be instrumental as we transform our business to serve and deliver greater value for property and facility managers and owners and developers throughout metropolitan New York, Fairfield, New Haven and Westchester Counties, Connecticut,” said Bruce Moore Sr. Along with the transition in leadership, ELM announced the opening of a second location in Monroe, Conn., an expansion that boosts the firm’s ability to respond to the fast-changing needs of its customers and service partners. The 6-acre Monroe site will provide jobs and training for a growing workforce. During Bruce Moore Jr.’s tenure at ELM, he has held a number of positions, starting in the field as a gardener and crew leader, growing into project management, account service, operations and management. He has a degree in business management from Curry College in Milton, Mass., and is active in the greater Stamford business community. He is a member of Southern Connecticut Building Owners and Managers Association, national green and snow industry associations NALP and SIMA, regional water management boards, chambers of commerce, regional economic development committees, a member of the board of directors of the Stamford Boys & Girls Club and an active member of HigherGround peer group for landscape executives. Buyers Products added two new district managers and a national account manager. Buyers appointed Harold Berg to the position of district sales manager. Berg will be working in the New England states, including Massachusetts, Vermont, Maine, Virginia, Rhode Island, New Hampshire and Connecticut, as well as Quebec and New Brunswick. In this role, Berg will be responsible for representing Buyers Products and its associated brands throughout the territory. He has 22 years of sales experience in the truck equipment industry, most recently serving as regional sales manager at J&J Dump Bodies & Trailers. Berg earned a bachelor’s degree in business from Salisbury University. Jeff Bays was also appointed to the position of district sales manager at Buyers. His territory includes Idaho, Montana, Wyoming, as well as Alberta and Saskatchewan. In this role, Bays will be responsible for representing Buyers Products and its associated brands throughout the territory. Before coming to Buyers, Bays was co-owner and general manager of AD Performance, a small chain of performance parts shops for all-terrain vehicles, utility-terrain vehicles and motorcycles. Prior to that, Bays was involved in the work truck equipment industry in a wide range of sales and service capacities. He earned his associate’s degree in business management from Miller Motte Technical College. Lastly, Buyers appointed Wade Falkenthal as its new national accounts manager. In this role, Falkenthal will represent Buyers Products and its associated brands, working with selected Buyers accounts that have national reach. Falkenthal previously served as national accounts manager at Power Products. He earned his bachelor’s degree in finance from the University of Wisconsin-La Crosse. Photo: Engines Division of Kawasaki Motors Corp.